It can be difficult to tell if your cat is in pain for many reasons. Cat owners may often miss the subtle signs of pain in their cats or do not notice until their cats are showing more obvious signs, such as loss of appetite and lethargy. In some cases, cats only show more obvious symptoms after being ill for an extended period of time or if they are very ill. By the time you actually notice something is wrong with your cat, it might have been going on for longer than you think. 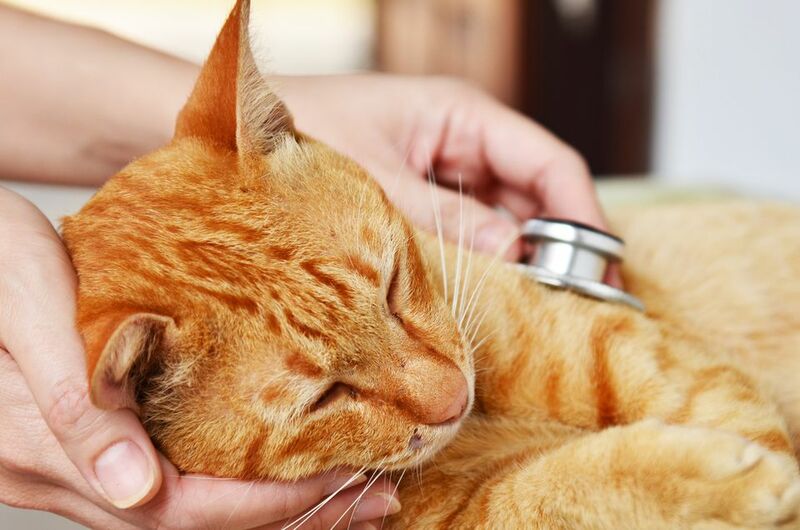 Although no one likes to think about their pets living with pain, it is important to be able to be notice telltale signs of pain in cats, so that you can take the necessary steps to provide comfort and prevent medical issues from worsening. Cats are experts at hiding illness. This is in part, because cats are both prey and predator animals, and in the wild, not showing pain can protect them from predators or other cats that might be a threat. Showing signs of pain makes them more vulnerable to attacks. It can also be difficult for your veterinarian to notice signs of pain because of cats hiding their pain due to fear and stress, which is common during veterinary visits. Your cat may also go into fight or flight mode, which can cause a decrease in pain perception. When cats are dealing with pain, similar to humans, it can affect their behavior. In fact, cats often show behavioral changes prior to physical symptoms. It is important for you to know your cat’s normal temperament and behavior. This includes your cat’s normal attitude, energy level, gait, appetite, sleep patterns, thirst, and other physical and behavior patterns. Just the slightest change could be a sign that your cat is sick or in pain. Since your cat cannot tell you it's in pain, your veterinarian relies on you to determine if there are any abnormal behavior patterns that may be pain-related. If your cat is just not acting like itself, this can be a sign that they are experiencing pain. Note: Changes in your cats’ daily habits should not always be contributed to aging. Age is not a disease, but as your cats ages, they are more likely to be suffering from pain. You may notice that your cat is not grooming itself or if it does groom itself, it only focuses on its face and front of its body. Cats are meticulous cleaners, so be aware if your cat's grooming habits have changed or you notice that its coat is unkempt. Your cat may be more withdrawn and even start hiding. Our cats are bonded to us and like to be engaged and present where we are. When your cat is suddenly not greeting you at the door, not sleeping with you, and other engaging behaviors that are normal, this may be a sign that something's wrong. You may notice that your cat has less energy or decreased stamina to engage in previously enjoyable activities, such as playing with toys or chasing that red dot. Your cat may be reluctant to jump, walk up and down stairs, have difficulty getting up from laying down, exhibit restlessness, and have difficulty finding a comfortable place to rest. You may also notice changes in sleeping patterns—the cat may sleep more or less and may sleep in unusual positions and places. Cats commonly will miss the litter boxes due to the pain associated with going in and out of the litter box, as well as difficulty squatting. Holding the squatting position can be very difficult for a cat with sore hips or knees. Other medical issues can cause cats to not use the litter box due to pain and urgency associated with them. Cats in pain can also uncharacteristically have episodes of aggression. A cat may begin to growl or hiss when people or other pets in the household approach it, may not be comfortable with being held, and may resent being brushed or combed. They may bite or scratch, too, especially when a person touches or moves the painful area or if the cat anticipates you doing it. Cats who are experiencing pain may lose interest in eating and drinking. If you notice any changes in your cat's eating and drinking habits, be sure to alert your veterinarian. This can be a sign of pain and various other serious medical issues. A cat in a lot of pain will appear as if it's trying to curl up into a ball or will sit hunched over in a guarded, crouched position with its back curved higher than normal, its head lowered, and front paws often folded under it. You may notice that once it lays down, the cat keeps its legs tucked up underneath itself instead of stretching out on its side. It may avoid or have difficulty engaging in scratching behaviors. Do not give pain medications designed for humans or dogs to cats. Cats process drugs very differently from other species. Always consult your veterinarian for an appropriate pain therapy plan. Consult your veterinarian and address potential pain rather than letting your cat suffer in silence. Our cat companions rely on us to speak for them, so monitor your cats closely and alert the veterinarian to any concerns.